In Alabama, wills are considered ineffective if they are not submitted for probate within five years from the death of the person who wrote the will. 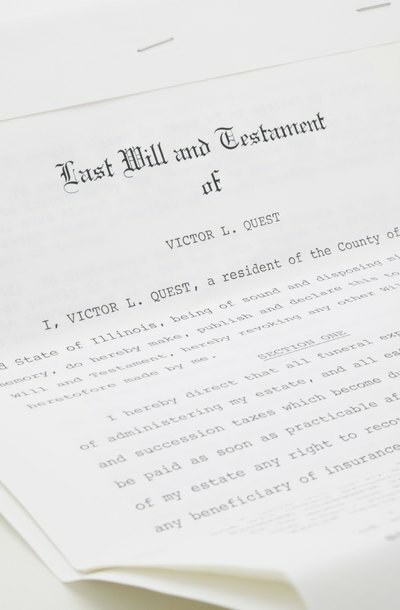 This means that at the time of death, the named executor or any person named as a beneficiary in the will is authorized to present that will to the probate court of the appropriate county and open a probate proceeding to distribute the deceased's property. Any interested party may challenge the validity of a will, or contest it, by filing a petition in the court where the will has been presented for probate handling. An interested party is any person who is named in the will to receive property or who, if the deceased had died without a will, has the right to inherit property under the laws of intestacy. In the petition, contesting parties must explain in writing the legal grounds under which they are challenging the credibility of the will. Common grounds for challenging a will include allegations that the will was not properly created or executed; the deceased was not of sound mind; or the deceased was under undue influence or fraud. Once a will has been presented to the probate court, any interested person has six months from the date of submission to bring a challenge. Once that initial six-month period has expired, a will in Alabama can only be contested in specific situations. More than six months after a will has been probated, it may be contested by children and others who are considered incapacitated if they were without a legal guardian at the time the will was initially submitted to the court. Minors and those who have been judged mentally incompetent who are entitled to inherit property under a will have 12 months from the appointment of a guardian to file a petition contesting the will. If no guardian is appointed, they are allowed 12 months starting from the date their disability is no longer an issue. Under no circumstances, however, may a challenge be brought more than 20 years after the will was presented to the probate court. Contesting a will in Kentucky requires meeting certain deadlines. In addition, different steps are involved if the will needs to be "proved," as opposed to those considered "self-proving." Once a will has been admitted for probate in court, a party that has a particular interest in the case, or "standing," may bring a challenge.